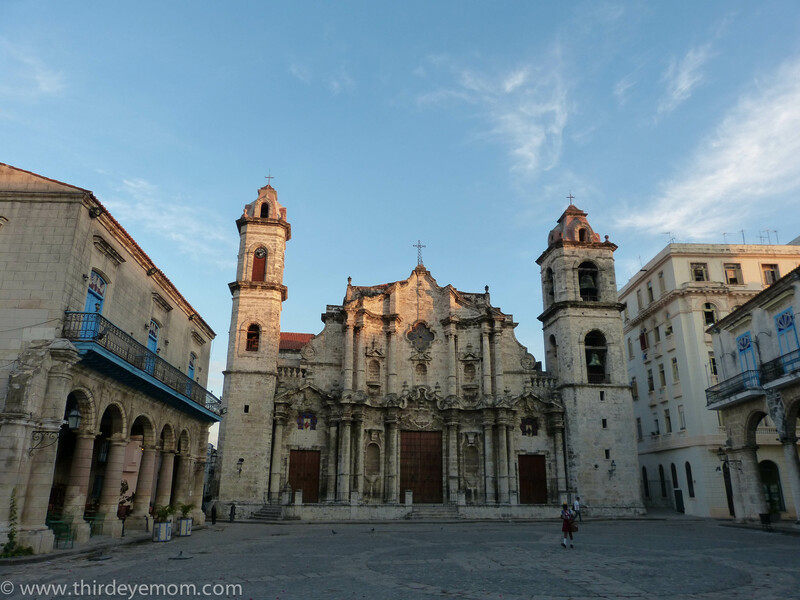 Old Havana or Havana Vieja was founded by the Spanish in 1519 surrounding the natural harbor of the Bay of Havana, a strategic location to build a fort to protect the city from invaders. 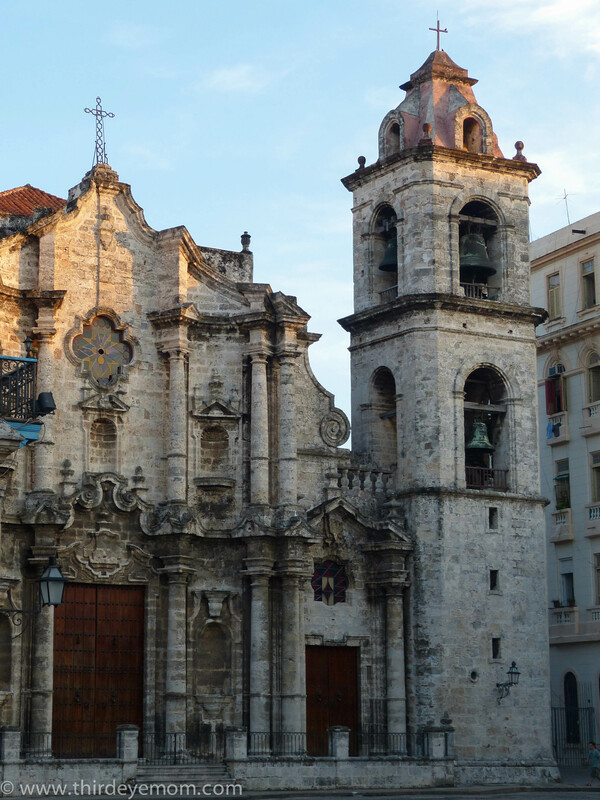 Old Havana is the historical heart of Havana with a majority of its lovely buildings built favoring Spanish Colonial, Moorish, Baroque and Neoclassical styles popular with the Spanish rule. 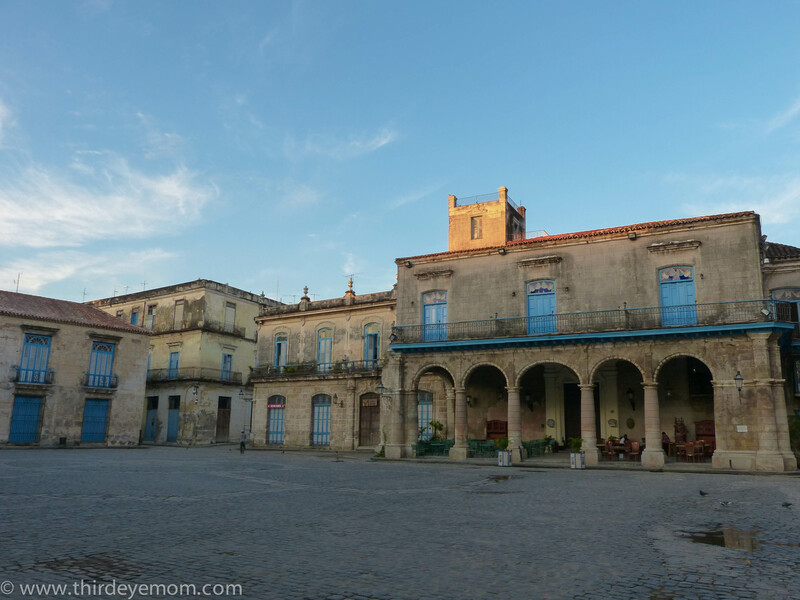 Sadly much of the grandeur has faded into ruins yet in 1982 UNESCO declared Havana Vieja as a World Heritage Site and restoration has slowly began. 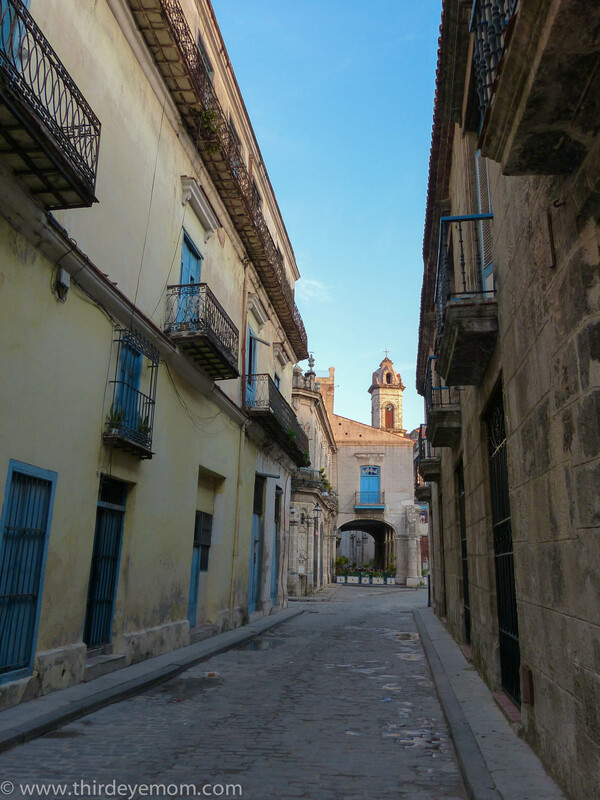 In fact over one-third of Old Havana has been restored but funds are slow to find to finance the rest. 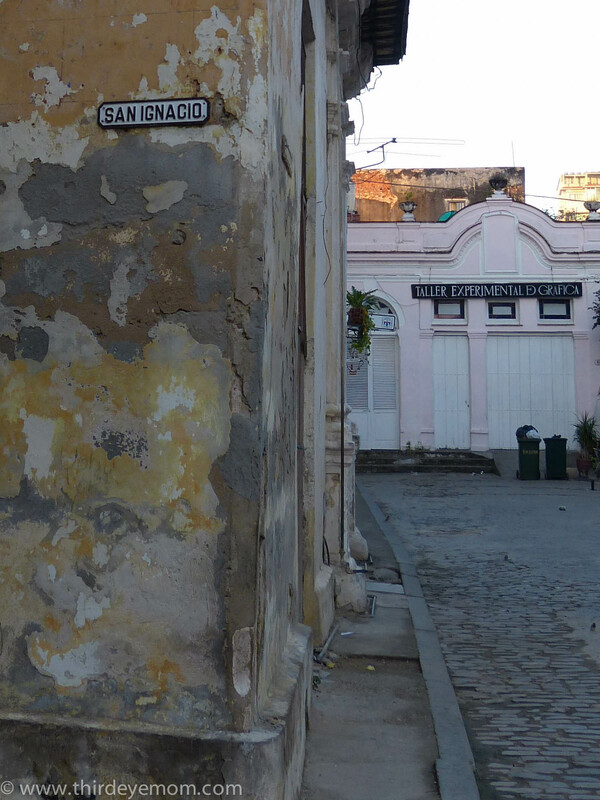 Today as you meander around its windy, narrow streets you can see the restoration work in progress and it is fascinating. 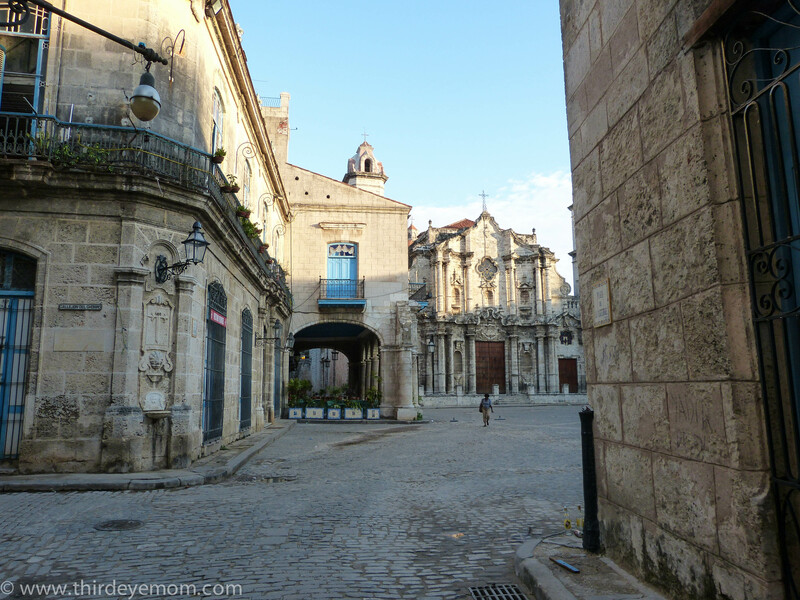 Entering lovely Plaza de la Catedral, one of the five main squares in Old Havana. 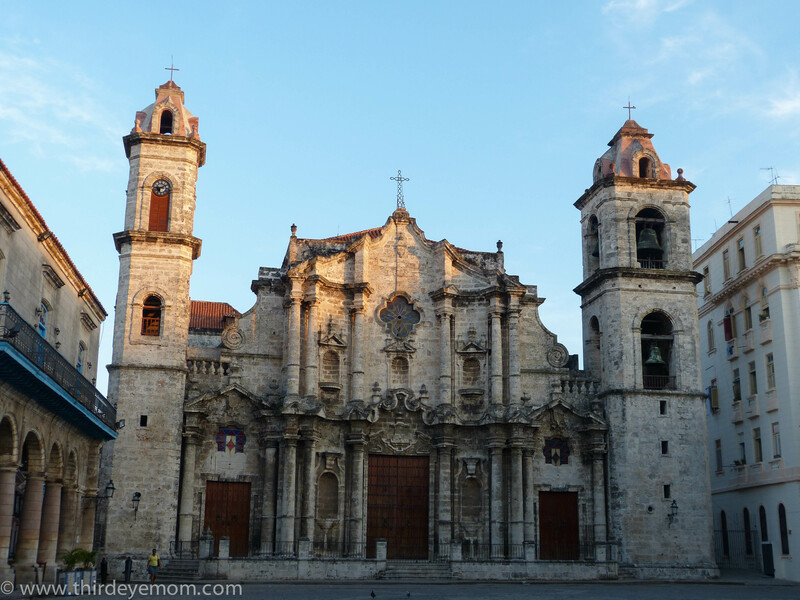 Plaza de la Catedral is one of five historic main squares in Old Havana. 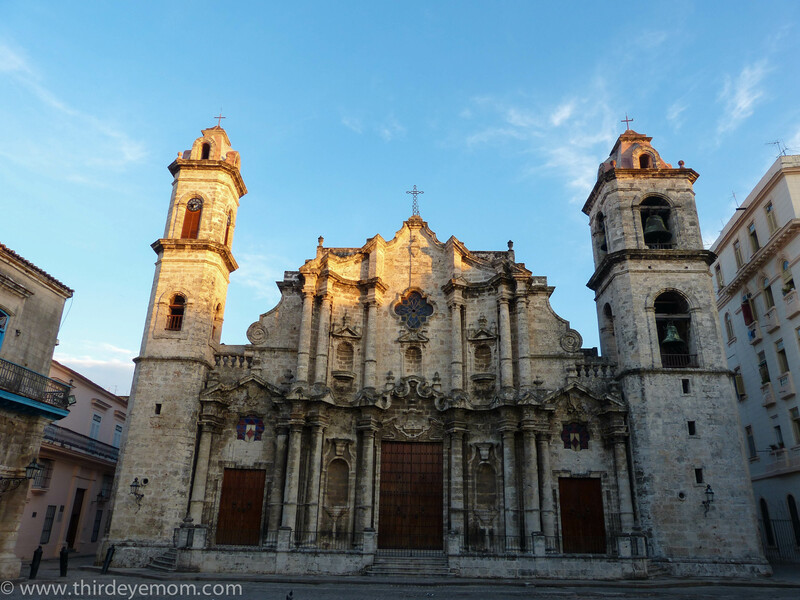 The centerpiece of the square is the gorgeous Catedral de San Cristobal which was completed in 1777 by Jesuits. 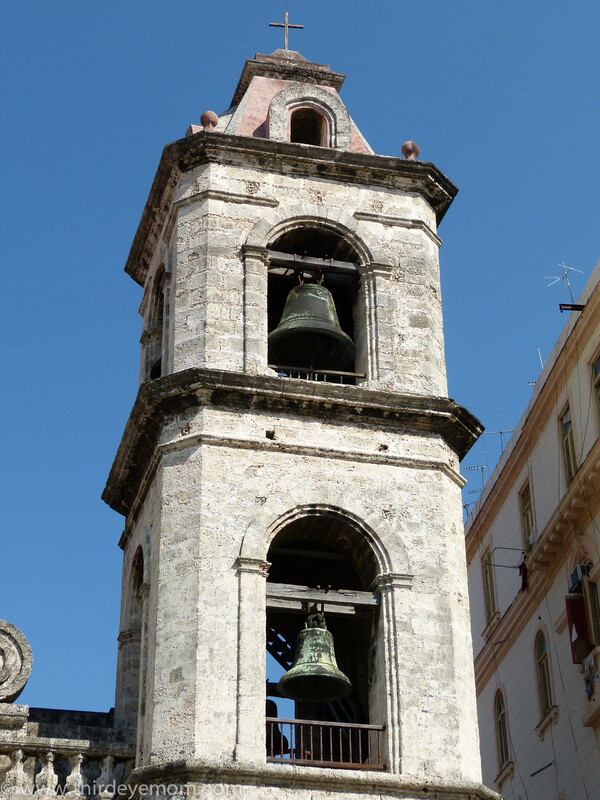 It is the most relevant Baroque landmark in Havana and is very Italian in style since it was built by an Italian priest. The narrow serpentine streets surrounding the Plaza de la Catedral are the home of some of the city’s grandest mansions. 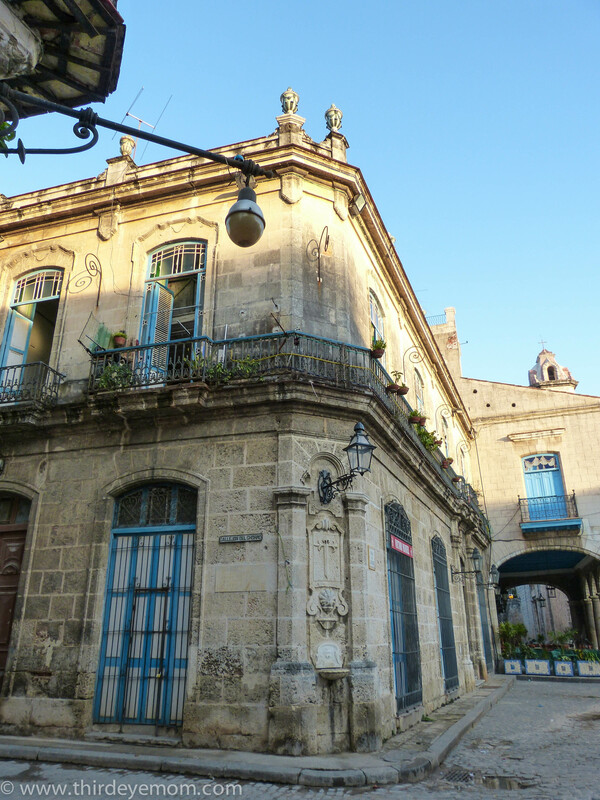 These opulent homes were built around the 18th century, a time when Cuba was a very prosperous colony thanks to her growing sugar trade. 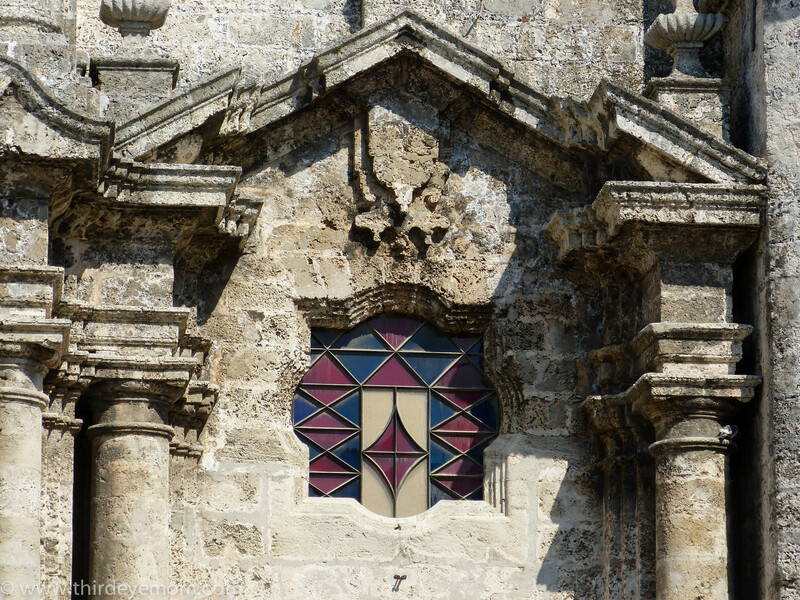 Once inside the beautiful courtyard of the Plaza de la Catedral lies the sensational Catedral de San Cristobal. 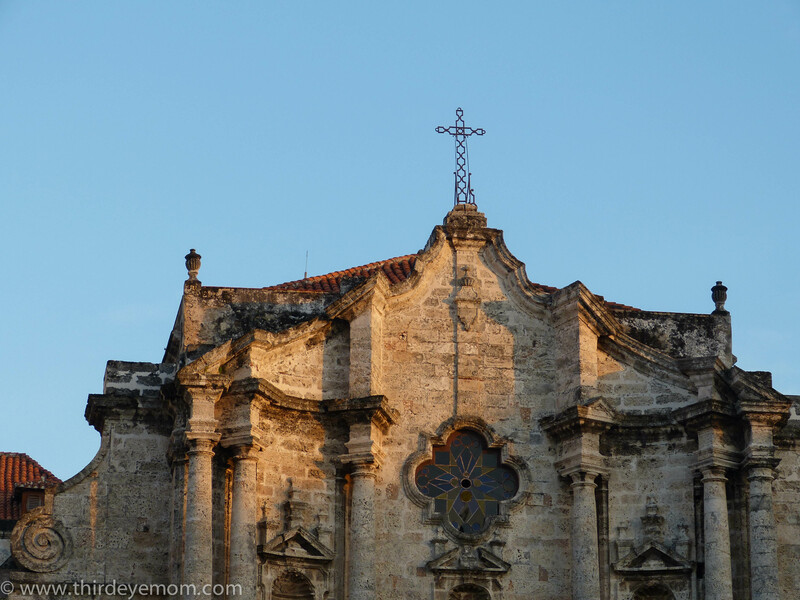 The cathedral’s Baroque facade with its gorgeous stained glass windows is stunning especially as the morning light casts a glowing spell across the top of the church and slowly meanders down. 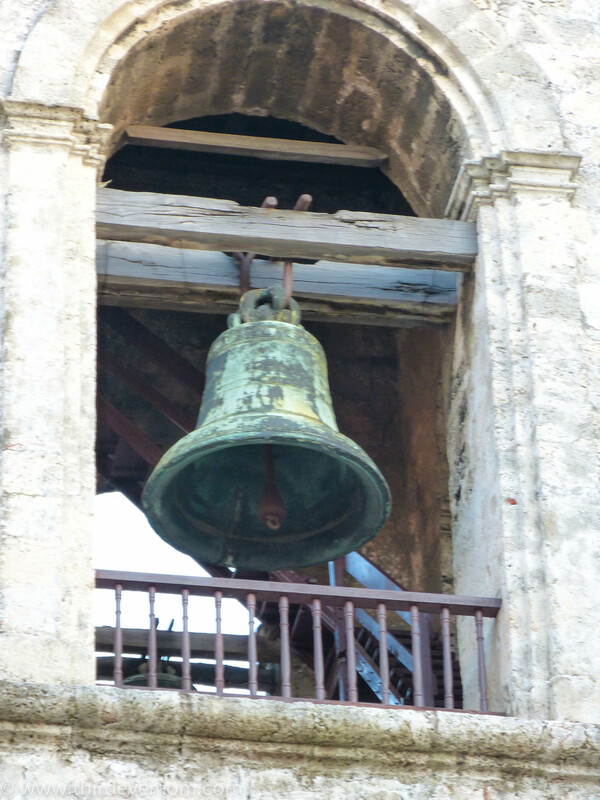 The cathedral’s bells are said to have been cast with gold and silver mixed into bronze. I wasn’t there to hear them ring but I’m sure the sound echoes across the entire plaza. During the peak tourist times, Cubans dressed in traditional attire hang out near the cathedral hoping to make a buck if you take a photo with them. I left just in time to get back to the hotel to start our day of people to people meetings. 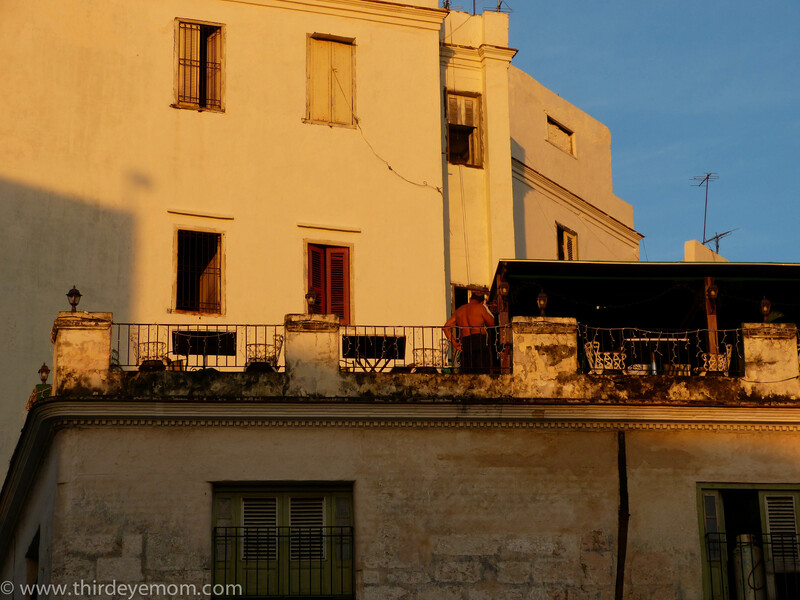 By 8 am, Old Havana had woken up and was starting to fill with life. I left with a smile across my face for my fortune of having the plaza all to myself that morning. I could not think of a better way to start my second full day in Cuba. 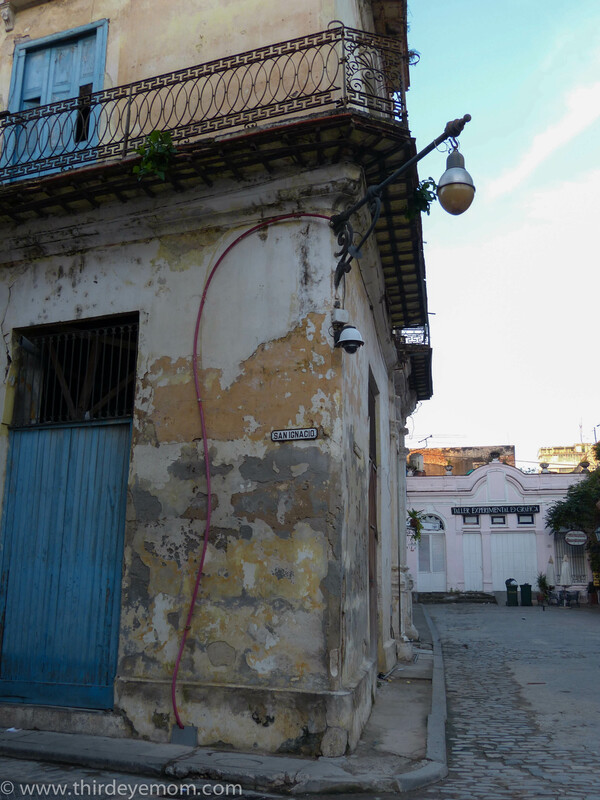 Stay tuned….I have much more Cuba left to share and I can hardly wait! This post was inspired by the Weekly Photo Challenge Threshold. Pingback: Getting ready to pounce | The Bohemian Rock Star's "Untitled Project"
Thanks! So glad you are enjoying the posts Sas. 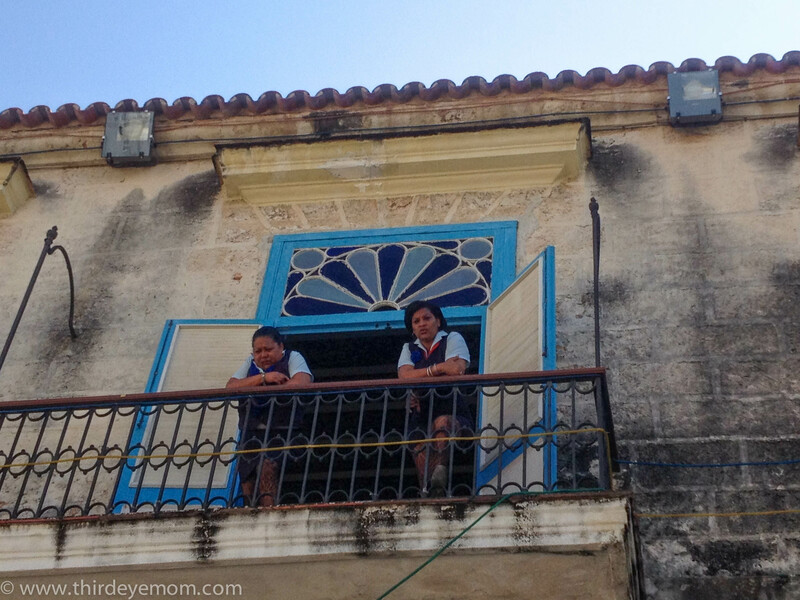 Cuba truly is fascinating and I learned so much since I was on the people-to-people tour. Much more to come! Thanks for your trip around Old Havana. What a grand place it must have been in its heyday. However, it wasn’t so grand for all the slaves that worked the sugar fields that made these people rich enough to live in these opulent mansions you speak of. 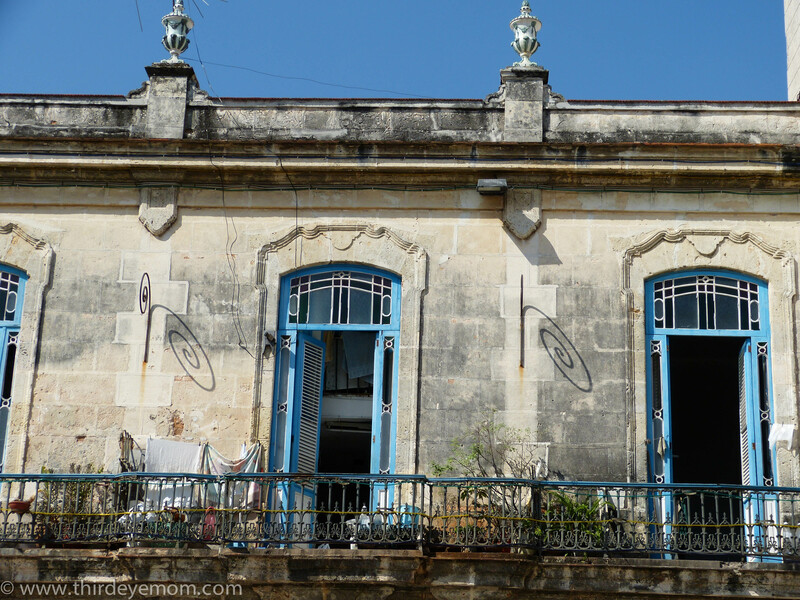 I’ll be looking forward to seeing more of your posts on Cuba, a most fascinating country. Thanks Cris! Yes the world was and continues to be a brutal unfair place. Much of the beauty of the world was built by slaves. 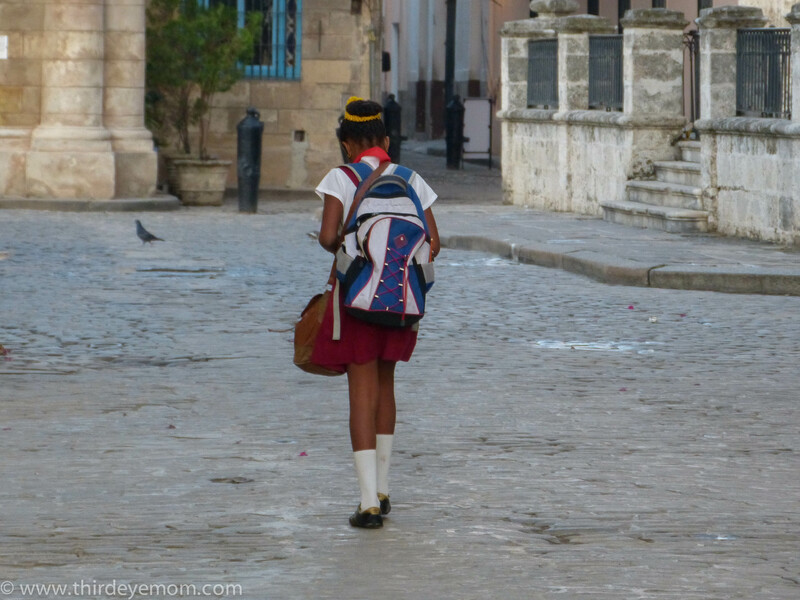 It is tragic and yes Cuba’s past was one built on slaves that the Spanish brought in to work the sugar and tobacco plantations.I will hop over now and check out your post! Thanks for the comment and more to come on Cuba. 🙂 I appreciate your comments. Thanks! That was the benefit of getting to Old Havana early. I read in my book that no one was there at sunrise and they were right! I was there other times and my photos aren’t as great! 🙂 Thanks for stopping by! Nice shots. I’m a little surprised to see the plazas so empty. Thanks! The plaza was empty since it was 7 am. By 8 am it was slowly waking up and by mid-morning it was packed! It is always such a treat for me when I open your Weekly Photo Challenges. 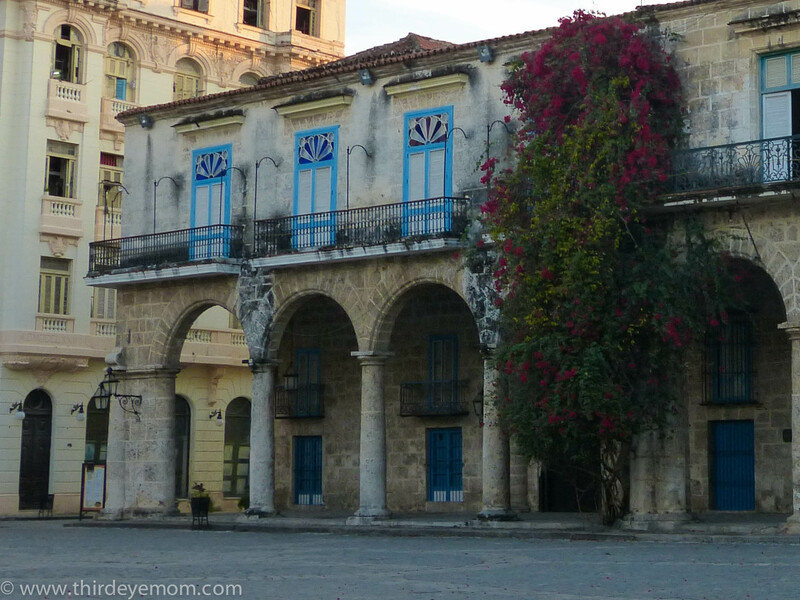 I’ve learned so much about the history of Cuba from you. Thanks, Nicole. 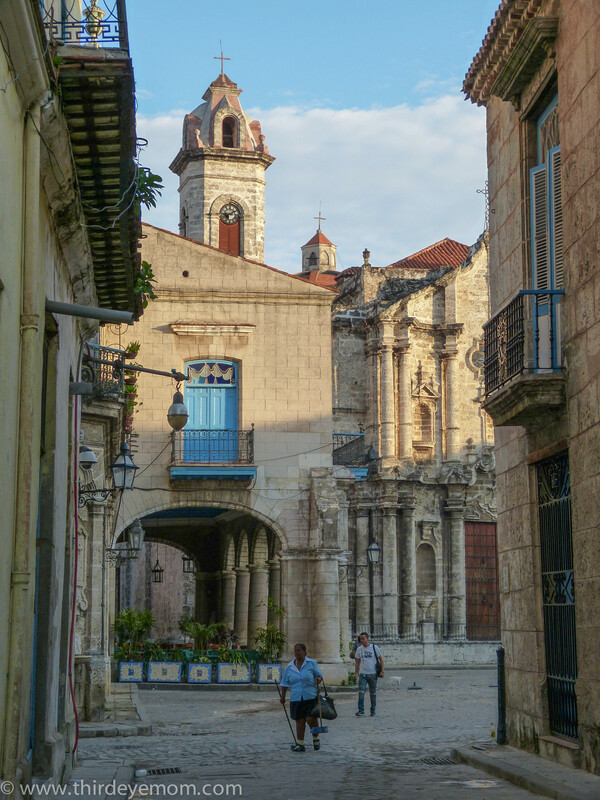 Just love those pictures of old Havana. Especially like their music. this is great. I love the photo of the sunrise! so magical! I hope you don’t mind. It’s so that other people can see how fun joining challenges is and how engaging and interactive it can be. Thanks for the link! I like your post as well! Great pictures! A wonderful gallery Nicole! Look forward to more. 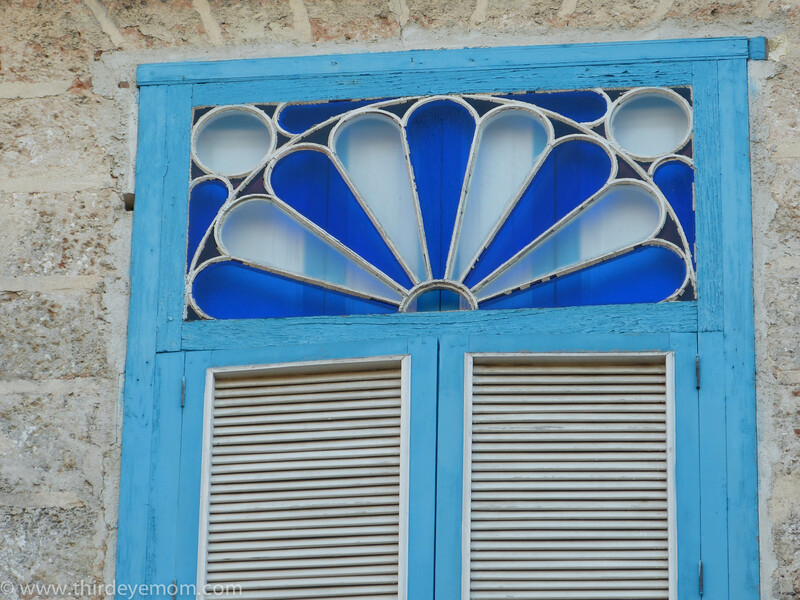 I have so enjoyed your photos of Cuba and am amazed by how much that is similar caught our eye. I can’t believe we captured a picture of the same two old ladies! Did you see it? It looks so much like a little mini Spain there. I love it and would love to go. Subscribe to my blog if you’re interested in travel! Great pics, I need to visit Cuba! Thanks! Yes now is the time to go to Cuba! So glad you got up early and got all of these amazing pictures! 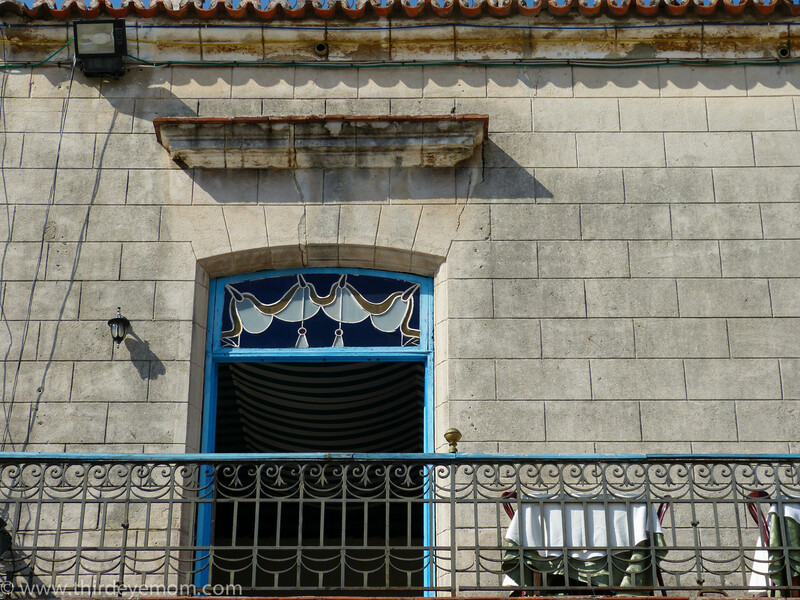 Being a native of Miami I always felt I got enough of a taste of Cuba living here, I would have never considered it as I place I would want to visit. 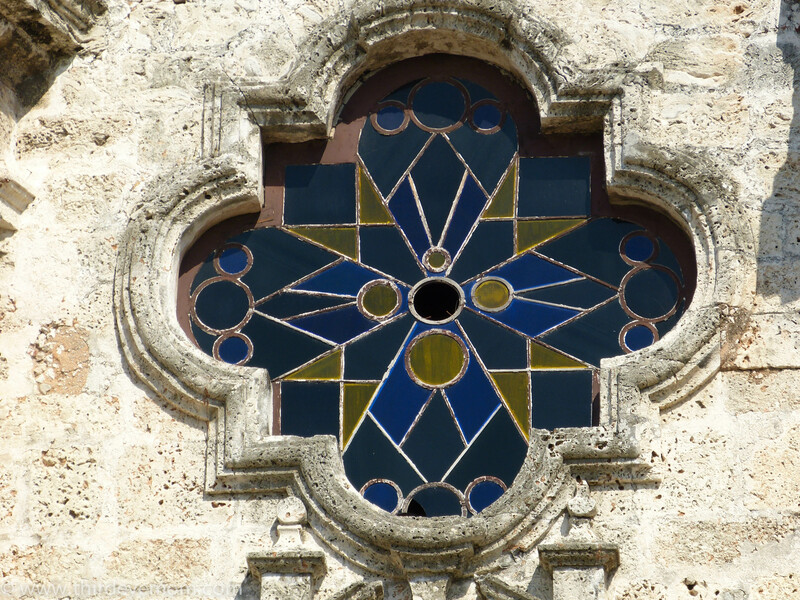 However, your pictures show that it is rich in history and a place worth visiting and discovering. Thank you! I bet Cuba is completely different and it would be definitely worthy of a trip. No place like it i’ve been to! Loved your photos and commentary! 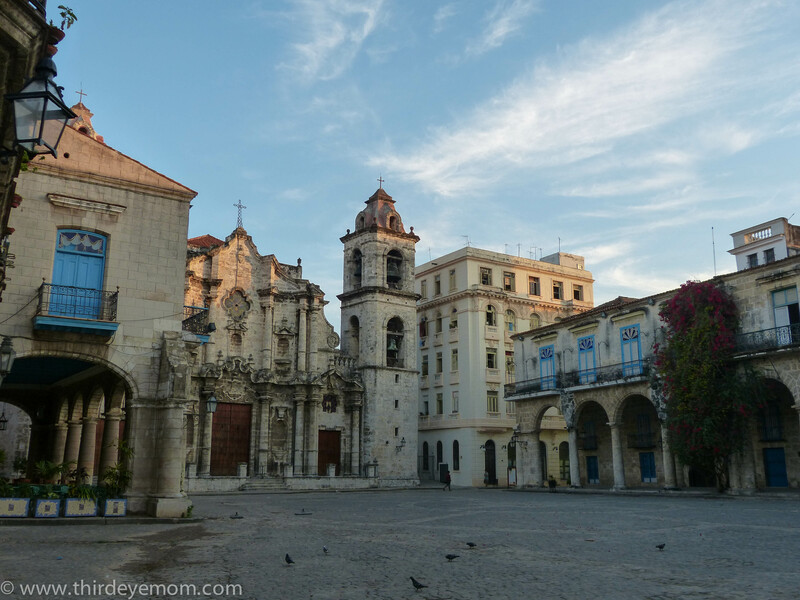 Had the rare privilege of visiting Cuba last July and most of our time was spent in Havana. BTW, I have an original ink sketch that I purchased at the Taller Experimental Grafica that I remember was near the San Cristobal Cathedral. You have it featured in a couple of your photos. 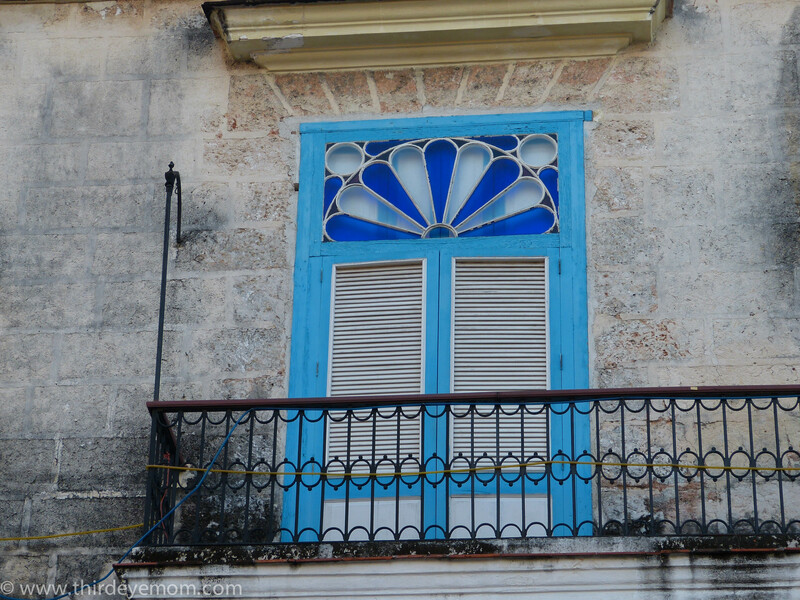 A lot of artists were creating beautiful Cuban art that could be purchased right there. The ink sketch is prominently featured on my stairway upstairs along with several other small Cuban paintings. 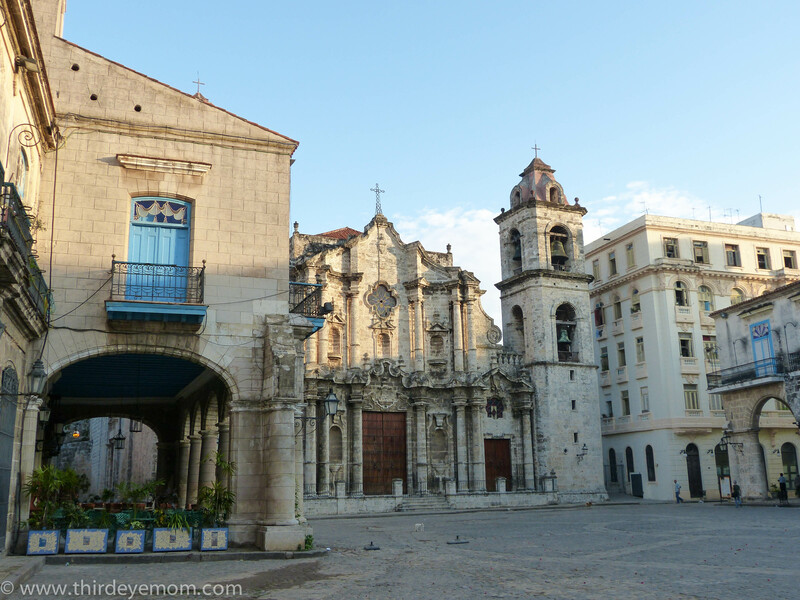 For any of your viewers who decide to go to Havana this is a “must see” along with the Plaza de Cathedral. Thank you very much! That is wonderful that you have that piece of art. It is a wonderful reminder of your trip!